In any anti-corrosion process care must be taken to ensure that the system has no weak points and the adage “A chain is only as strong as its weakest link” applies. One area which can be problematical is that of minor blemishes (such as scratches) that can arise during handling, transport or assembly of coated steel components. 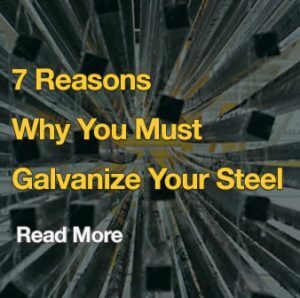 In addition, the edges of articles may also present a potential point of weakness due either to an increased potential for mechanical damage or to the coating or in the case of pregalvanized sheet products the fact that the edge is uncoated. 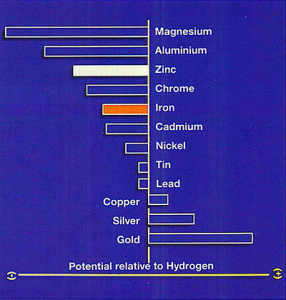 Each individual metal has an electrical potential and this is illustrated in figure 1, where the most common metals are listed in terms of their electrical potential with the most electro-negative (magnesium and zinc etc.) at the top and the most electro-positive metals (gold and silver) towards the bottom. When two dissimilar metals are in direct electrical contact with one another in the presence of an electrolyte a battery cell is formed and a current flows causing the more electro-negative metal to corrode in preference to the electro-positive metal (see galvanic corrosion). In practice this means any metal higher up in the table will corrode in preference to one below it. This forms the basis of the sacrificial protection provided by a galvanized coating to small areas of coating damage. 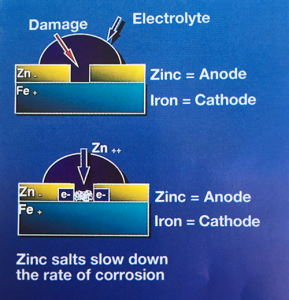 This property of zinc is of great advantage as if damage occurs to the zinc coating exposing the underlying steel substrate the galvanic cell formed will lead to the zinc sacrificially protecting the exposed steel surface and possibly even resulting in self-healing of the coating as shown in figure 2. As a result small scratches on a galvanized surface will not normally require any repair work to be conducted. 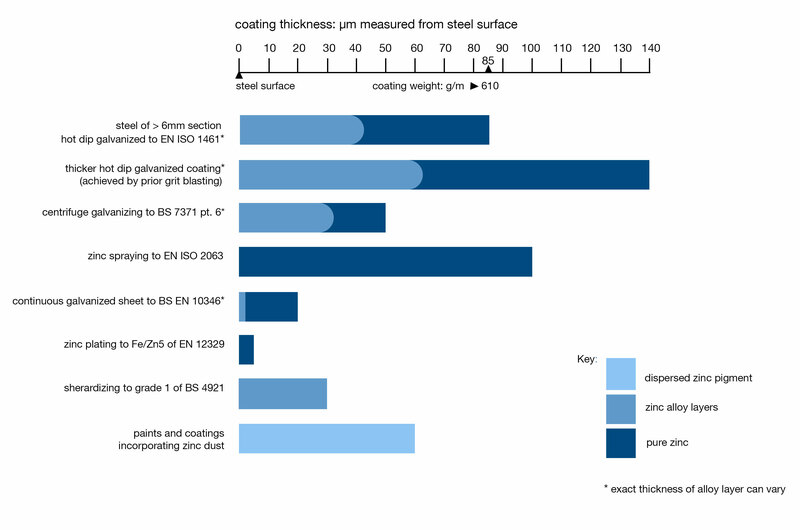 The level of sacrificial protection is limited but will to an extent be dependent upon the thickness of the zinc coating and the service environment. External exposure testing suggests that a batch hot dip galvanized coating will offer full sacrificial protection up to a width of 5 mm. In other words, the length of a scratch is not a limiting factor provided its width does not exceed 5 mm. 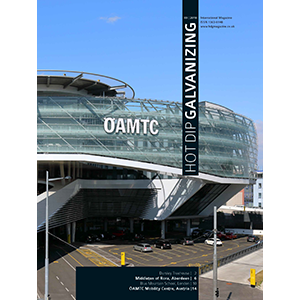 Cut edges on products produced from pregalvanized sheet metal also benefit from this electrochemical protection but because of the reduced coating thickness full sacrificial protection may not be provided to the uncoated edge. Cathodic protection therefore provides, without any additional cost or effort, effect which ensures that areas of minor damage to a galvanized coating do not become a problem. Larger areas of more serious damage must however be to repair by conventional methods such as application of a zinc rich paint or paste. Read more about rust prevention.